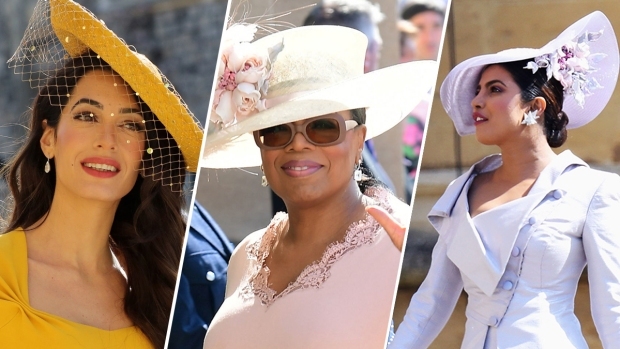 The royal family, blessed with fantastic weather and a buoyant public mood at the royal wedding, has thanked people who attended or watched Prince Harry marry Meghan Markle. The family tweeted its thanks late Saturday night while Harry and his bride were attending a private soiree hosted by Harry's father, Prince Charles. "Thank you to everyone who came to Windsor and those who followed from around the UK, the Commonwealth, and the world," the royals said. The happy couple arrived in style — with Harry at the wheel of a rare, 1968 Jaguar sports car converted to electric power. He wore a tightly fitting tuxedo — shades of James Bond — while Markle wore a white Stella McCartney number. 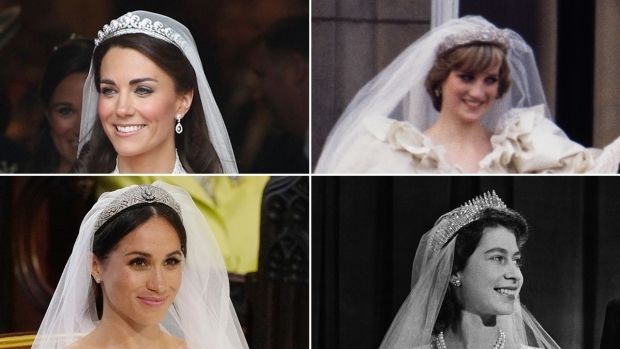 Kensington Palace did not release details, but photographs showed Markle, now known formally as the Duchess of Sussex, wearing a large, emerald-cut aquamarine ring that had belonged to Harry's mother, Princess Diana, to the reception. The prominent display of the ring, which Diana wore often, was one more sign of the royal couple's desire to honor Harry's late mother, who died in a Paris car crash in 1997. Diana's older sister gave a formal reading during the ceremony and many of her relatives were in attendance despite Diana's bitter divorce from Prince Charles, Harry's father. 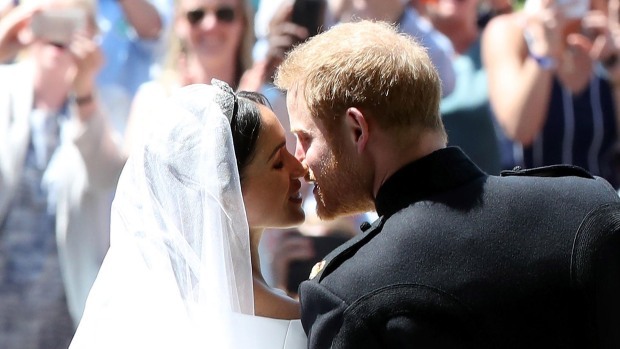 The spectacular photos and footage of the wedding and procession that followed were seen around the world, leaving a lingering feeling of romance in the air. Former Cabinet minister Peter Mandelson told ITV Sunday that the wedding was so moving that he is now considering proposing marriage to his longtime partner. "People all over the country are going to feel inspired, they are all going to want to run out and get married now," he said. Mandelson said the recent marriages of the princes William and Harry have done wonders for the monarchy. "I think they have probably secured the royal family and the monarchy for a long time to come," he said. Harry and Markle spent their first night as a married couple at Windsor Castle. They are breaking with tradition by delaying a honeymoon, and are expected to return to their living quarters at Kensington Palace in central London. Harry and Markle will fulfill their first royal engagement as a married couple Tuesday when they attend a garden party at Buckingham Palace to honor Prince Charles and his charity work. Charles will mark his 70th birthday later this year. Before the wedding, Markle said she wanted to take up royal duties immediately. She has long been active in support of a number of causes and charities. Palace officials have been vague about Harry and Markle's honeymoon plans, but they are expected to take a honeymoon in the near future. No destination has been announced, and the couple may choose a place where they can relax without being trailed by photographers. Harry took Markle on holiday in Botswana when they were dating and it is possible he will choose one of his favorite African locations for the idyll.